Includes XP user pictures for all breeds. 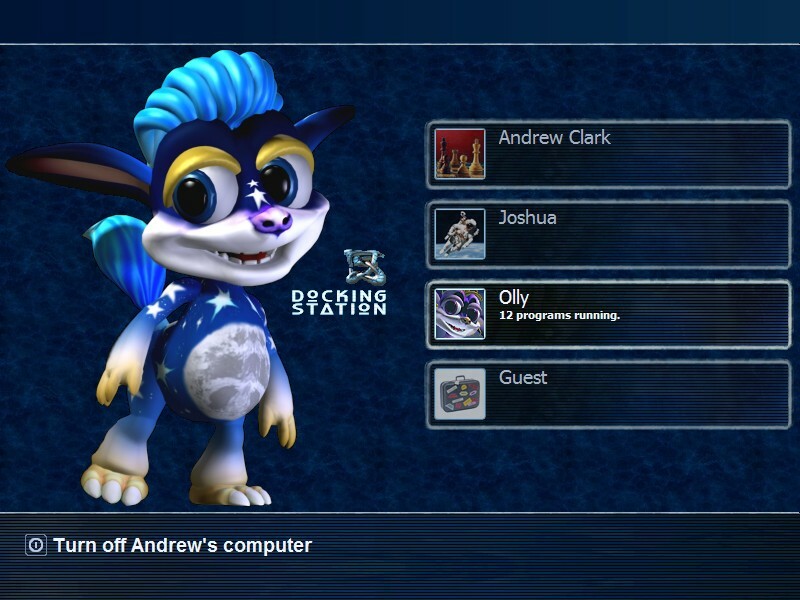 To use, click your user picture in the start menu, browse for more pictures, go to C:\Program Files\WinCustomize\LogonStudio\DockingStation-Astro, and select any of the userpics. Got a problem? Want to comment? Leave it below, or greenreaper@hotmail.com me. Some images used by permission of Creature Labs. Creature Labs and Creatures are registered trademarks of Cyberlife Technology Ltd. The Creature Labs, Creatures 3 and Docking Station logos are trademarks of Cyberlife Technology Ltd in the United Kingdom and other countries. The Astro Norns are the best! Thanks for making this login screen, GreenReaper! A bit, perhaps. It's the way their bodies are structured. This one's male, so I doubt he is actually pregnant.